STC still makes it to the top in interactive design. 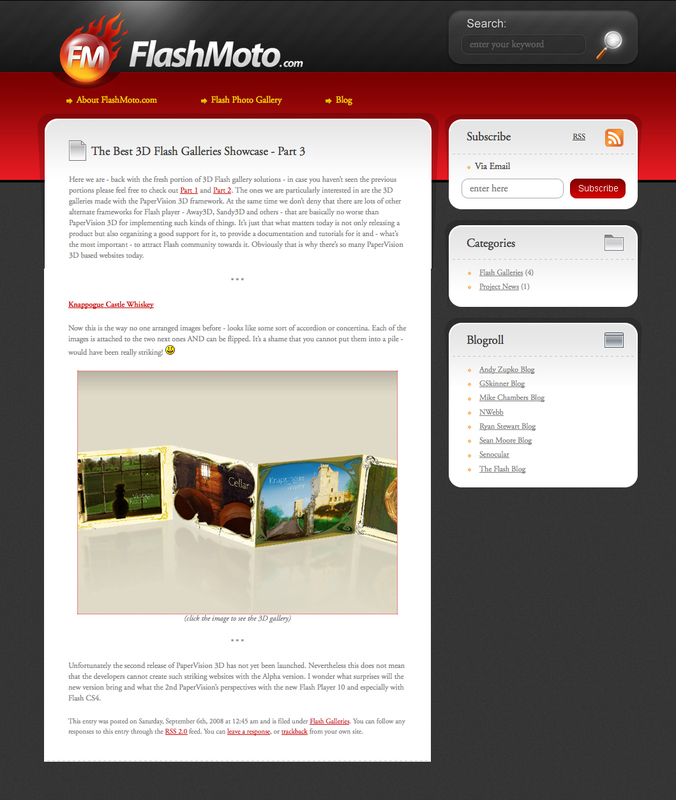 FlashMoto.com gives a warm review on the Knappogue Site as part of its 3D webdesign review. Jerome, you are still the best. This entry was posted in design, technology and tagged FlashMoto.com. Bookmark the permalink.